Community heroes rarely get noticed for the work that they do. You know who they are. They are the custodian who works the graveyard shift at a local hospital and hold weekend bake sales throughout the year to rake in enough money for scholarship money to give to college students. They are the local fireman who goes out and spends his down time lecturing at middle and high schools and mentors young boys about the perils of life. They are the educators who toil tirelessly to make a difference in a child’s life. They can be the community advocate fighting for the smooth transition of ex-convicts into the mainstream of normalcy, finding shelter and employment opportunities for those forgotten about by society. They are the civil rights attorney engaging public awareness about autism or they can be an ambitious student just wanting to help other children with special needs. This is what a community hero looks like. They don’t seek the limelight for fame. They don’t ask for notoriety. They just do what they feel in their heart is the right thing to do. They are the people who quietly bring about change in their respective communities, seeking justice and empowerment instead of reveling in personal accolades. 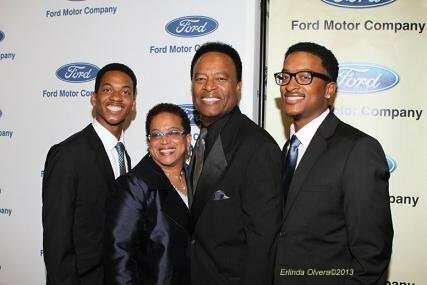 They are the reasons why the Ford Motor Company decided to pay homage to them. Ford Motor Company has reached out to various cities throughout the United States to honor such men, women and young people who represent the best in their communities. Southern California is one those targeted cities that Ford Motor Company has responded to honoring these community heroes. omg! 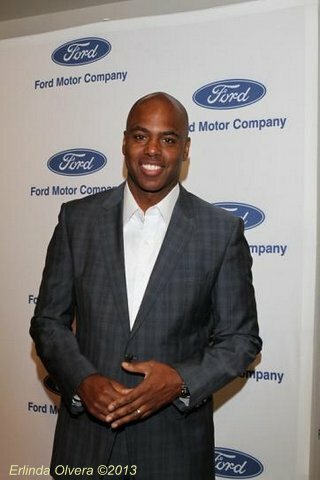 Insider Kevin Frazier and actress Keke Palmer (Abduction: The Story of Carlina White) recently helped usher in the celebration of the Ford Freedom Unsung awards to 20 worthy Southern California recipients at the Grammy Museum in downtown Los Angeles. The winners were selected from a list of 130 nominees and represented categories in education, community, military, youth and organization. The Ford Freedom Unsung-Southern California award winners are as diverse in background as the categories they were honored in. NBA referee Derek Richardson and noted photojournalist Haywood Galbreath (Minority Photo Journalism Institute) were among the honorees in the education category. Longtime educator E. Elaine Moore, Angela M. Evans (Crenshaw Christian Center) and Darlene Jernigan were the other honorees. 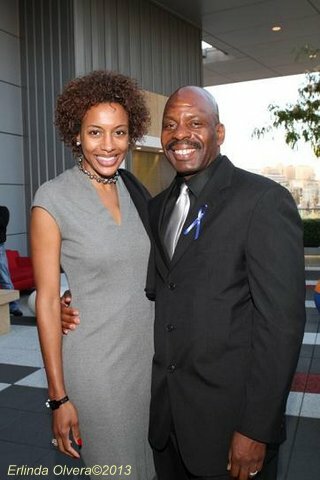 Ivan Mason, who works with disabled veterans, along with Patricia Jackson Kelly, was honored in the military category. Of course, youth was served well with this year’s recipients going to bat in their communities, raising awareness and giving attention to asthma and young people afflicted with learning disabilities. Carey Poindexter was told it was a good bet that he wouldn’t live past the age of 10. His extreme asthma condition gave doctors little hope for him to make it past that age. He’s been hospitalized more than two dozen times. he has had to endure four surgeries at his young age. He has to take medication seven times a day. Despite those steep challenges, Poindexter is an unsung hero. He is now a high school student and Junior Ambassador for the American Lung Association, working to give other young people with the same condition he has a fighting chance at life. Justice Reigns Ferguson is a sixth-grade student with the heart of an angel. Ferguson enjoys working with students her age that are hit with special needs. The other youth honoree is Shauniece Frazier. The community winners include top legal mind and autism advocate Areva Martin (Martin & Martin, LLP, Special Needs Network), actor William Allen Young (The Game, CSI: Miami), Rita Hall, Sherri Pegues and Wilfred “Bill” Coggins. Receiving the Ford Freedom Unsung award for organization were the Jenesse Center, Inc.(domestic violence), A New Way of Life Reentry Project (shelter for former incarcerated women), GAP (gang prevention), New Directions for Veterans and Starting Over, Inc.
Ford Motor Company Fund Director of Community Development Pamela Alexander, through a released statement, said the honorees were given recognition for making a difference in their communities with their action to help others.